Glebar's dedicated staff of engineers and applications personnel can design and integrate a turnkey automated precision grinding solution to meet your specific application needs for your Glebar centerless, micro, double disc, form or OD grinder. We can also address your standalone machine tool automation projects. We provide the unique complement of world class grinding solutions and automation capability to design fully integrated cells for companies around the globe. Download the Glebar Automation PDF here. 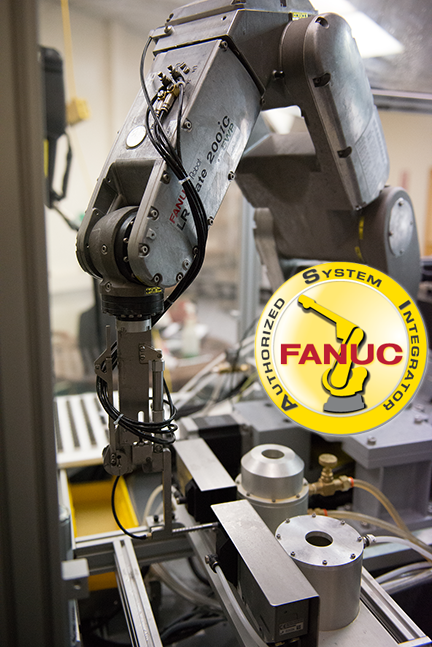 Our experience in motion controls, robotics and vision and laser measurement systems integration provides a one stop shop solution. VIEW FULLY INTEGRATED AUTOMATED AUTOMOTIVE CELL CASE STUDY.